KNOXVILLE, Tenn — Morning Pointe Assisted Living and Alzheimer’s Memory Care communities in Clinton, Powell and Lenoir City put their foot down against Alzheimer’s disease during Alzheimer’s Tennessee Foothills and 5 County Walks. Morning Pointe associates, residents, families and volunteers have spent the year garnering support for their walk teams, raising more than $2,500 and counting to support the cause. Behind every Meaningful Day(tm) is a team of associates who rally for the advancement of senior care. To read more about Morning Pointe associates who are making their mark, visit www.morningpointe.com/makeyourmark. 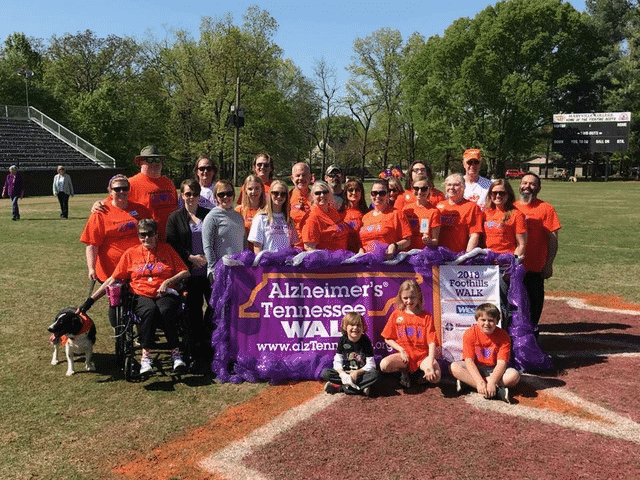 Photo: Morning Pointe Assisted Living and Alzheimer’s Memory Care communities in Clinton, Powell and Lenoir City, participated in the 2018 Alzheimer’s Tennessee walks. Click here to learn why families are choosing Morning Pointe!